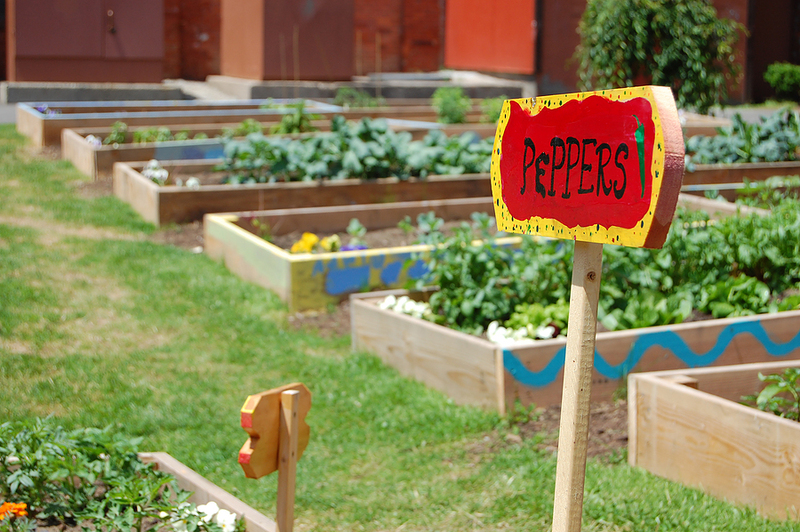 Urban gardens fight climate change by reducing food miles and industrial processing. They might even sequester carbon. Photo: Northwest Earth Institute. Amidst a dizzying array of “important” things to do and emotionally challenging experiences, how do you take the time to pause, listen and find what’s true? This is needed so we can keep our hearts open, minds clear and hands in action on what matters. Regardless the challenge, this is the way of Transition — our hearts, heads and hands aligned in acts of care and celebration. This is why we need you to step up and join us as we collectively catalyze 2,000 actions across the U.S. for the 350 Home and Garden Challenge on May 14th and 15th. Register your action, watch and share the videos, engage your friends and neighbors and soak in the power of what is possible when we come together. What is true is that individually or locally our efforts can at times seem not enough, but collectively this fiercely committed and inspired network has the power to send a strong, loud message about how to create the future we’d like to call home. Like you and other homegrown leaders, I have a lot to do that feels vital to our future. This is both an incredible gift and a huge responsibility, but I can’t imagine anything that feels more critical to the health of our communities and world than where we are collectively placing our daily efforts. What is also true is the grief I am feeling. I see and read about so much loss caused by natural disasters, greed, fear and a lack of consciousness. After a recent painful personal loss, I sat by the Kootenai River in Montana, in the nurturing presence of nature, knowing how these forests have been clear cut, this river dammed, its plants and animals drowned or driven off, and this community sickened by an asbestos-tainted mine and profit-focused corporation that tried to hide the truth. Yet still the river flows, the trees regrow, the bald eagle population has recovered and been recently removed from the endangered species list. Being in the forest, feeling connected to you and our networks and being purposefully aligned in how we live and work was and is incredibly healing. By living our potential as we reconnect to nature and nurture community, we access a power far greater than any of our actions. It is an ancient, simple recipe at the heart of community transformation. Acceptance isn’t apathy or inaction. It’s just being awake to what is, with an open heart and a clear mind. This gives us the strength and focus to appropriately respond to the immense hurt in our lives and world. But it’s more than one small step when you are building the momentum of a local-global movement. Look around at how you are living, the choices you make, the actions, events and other experiences you are catalyzing. The same is happening in communities all across this blessed blue planetary marble of marvel and relations. We know you are dealing with grief, loss, overwhelm and other challenges. But life and our future need you to step up, to rise and shine like the sun and be the unstoppable force of nature this time demands of us. Open your heart and embrace what hurts, claim the space to keep your body healthy, your mind clear and your hands focused on what matters. Whether you change a light bulb, caulk a window, plant a fruit tree, transform a school lawn into a garden or catalyze dozens of community actions, stand up and be counted on May 14th and 15th for the 350 Home and Garden Challenge. Feed and feel our shared power, vision and voice, knowing that with the right effort in the right place at the right time, ANYTHING is possible. That’s this, here, now. We just need you. This is the first in a new series of monthly columns from Transition US, a non-profit organization providing support, encouragement, networking and training for Transition groups in the United States. James Lovelock, the “godfather of global warming” has become highly critical of the green movement, and says a lot of the global warming science was deeply wrong.